Spring is here! Time to get moving, declutter, and let some fresh air in—and we’re not just talking about your home. Whether you are suffering from the winter blues, have put on a few pounds since the holidays, or are just ready for a fresh spring look, now is the perfect time to clean up and get a fresh start in many areas of your life. Get started with these simple, yet effective spring cleaning tips, and see just how soon you notice how great you look and feel. Most of us could stand to clean up our diets after a winter menu heavy on comfort food. If you want to lose weight or gain energy for spring, overhauling your diet is a necessary first step. Start by cleaning the cupboards of processed foods, which are the biggest culprits for hidden sugar and often low on nutrients. Eliminating chips and cookies from your cupboards will help you instead choose a healthy snack (such as celery or apple topped with peanut butter) when hunger strikes. The next step is to eat meals comprised entirely of whole foods. Avoid white carbs (rice, bread, pasta) and endeavor to taste the rainbow of fresh fruits and veggies. Filling your grocery cart with produce across the color spectrum, quality protein (such as raw nuts and fish), and healthy fats (like extra virgin olive oil), will maximize the amount of age-defying antioxidants in your food. Within a few weeks of eating this way, you’re likely to feel a whole lot more energetic and your skin will look more vibrant. Don’t always have time to cook at home? Check out our post listing the best healthy restaurants in Rancho Cucamonga. Step #2: Reassess What Gets You Stressed—and Do Something About It! Excessive stress can be harmful to your health; there’s even evidence that stress can cause skin to age prematurely. While some stress is unavoidable, you can reduce it. Avoidable stress comes from many avenues, such as toxic relationships, an overly full schedule, or disorganized finances. Take some time to write out what stresses you out, and then brainstorm some ways to reduce its impact. Maybe you need to break things off with the “frenemy” who constantly puts you down, or sit down with your partner and redo your budget. Whatever you need to do, set a goal date to complete the task. Another way to dramatically reduce stress’ impact on your life is to start meditating. Luckily, there are a number of places in Rancho Cucamonga that can help get you started on this simple, free and healthy habit; check out these top rated local options. Bonus: meditation is proven to reduce cortical thinning, potentially helping you to avoid Alzheimer’s Disease. Clean out your makeup drawer, and throw out cosmetics and brushes you’ve had more than 6 months. Time flies, and it doesn’t take long for potentially harmful microbes to build up on old makeup, which could put you at risk for infection. Wear broad-spectrum SPF every day, starting today! Protecting against UV radiation is one of the simplest and most effective ways to postpone fine lines, hyperpigmentation, and other signs of aging, not to mention reduce risk of skin cancer. Invest in a high quality, medical-grade SPF that will protect without weighing down skin. An experienced skin care professional can help you choose the right product for your skin type. Treat yourself to a professional skin resurfacing treatment. There’s no substitute for an expertly performed, in-office treatment to address specific skin problems, such as fine lines, age spots, acne, or large pores. There are plenty of low to no downtime options, such as peels, facials, and microdermabrasion, which take an hour or less to complete. The best way to get beautiful skin this spring? See a licensed skin care professional, who can offer safe, effective tips for clarifying skin and help you design a skin care plan that’s personalized to your needs and goals. Do three dresses fall to the floor every time you wrestle one from your overstuffed closet? Most of us have clothes we never wear, and the change of season provides the perfect excuse to weed out the never-again jeans from high school and organize the classic pieces you love. Once done, you’ll actually feel like you have more clothes rather than less, since you’ll be better able to see all the things you love. Need some motivation? Check out this awesome “how to spring clean your wardrobe” guide from Elle. Step #5: And Finally, Spring Clean Your Home! Designate a deep cleaning day. When was the last time you cleaned the inside of the fridge? Make a list of 5 to 10 things you really want done and challenge yourself to complete them in exchange for a reward: a nice bottle of wine, a trip to the movies, etc. Upgrade your essentials. Now that your closet’s clean, take some time to give your bed and bath some TLC. Treat yourself to new pillows and towels—it’s good to replace these close-to-your-skin items every few months anyway. Clean your gadgets! You probably don’t want to know how much bacteria is on the average smart phone or keyboard. Just take a few minutes to clean them. Don’t use household cleaners, which could damage the screen. Instead, dab rubbing alcohol diluted with water onto a microfiber cloth and gently wipe down the device. We hope you’re motivated now to make positive changes for your life. When you’re ready to improve your look, we’re here to help. 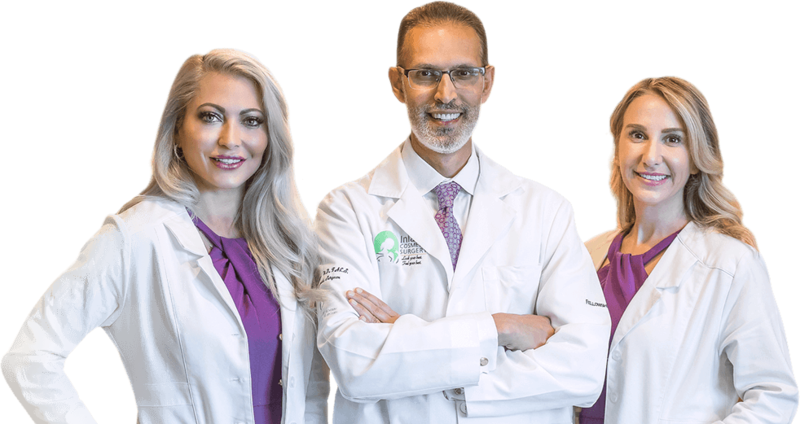 Just contact us to schedule a consultation with Dr. Haiavy or Dr. Tower. Both are certified by the American Board of Cosmetic Surgery and experienced in a full range of cosmetic procedures for the face, breast and body. We look forward to helping you look and feel your best this spring, and for years to come! Learn How to Ditch Your Double Chin at Our Kybella Open House!